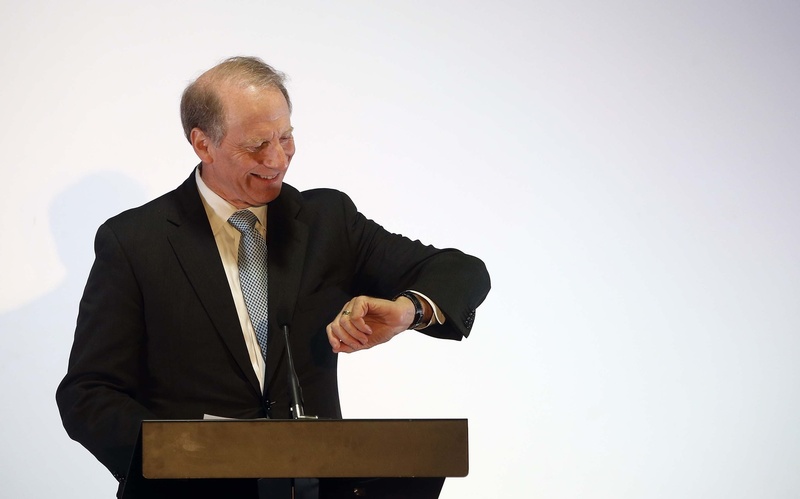 Richard Haass made progress in NI, but time could deliver greater changes. Politicians, their supporters, and even journalists, are obsessed with numbers, especially when it comes to poring over opinion polls, or counting votes at election time. So it’s difficult to understand why the biggest numbers game in Northern Ireland – demographics – hasn’t featured at all in the months of public debate around the now stalled Haass talks process. Over the last year the news headlines have been dominated by riots linked to disputes over parades and flags. But arguably the more far-reaching story was the Northern Ireland census results released in December 2012, the same month that the row erupted over restricting the flying of the Union flag at Belfast City Hall. The census marked an historic shift, unprecedented in Northern Ireland’s history – but it has barely registered in the public mind. It revealed that the Protestant population, which once held a comfortable majority over Catholics, has fallen below 50% for the first time. Protestant numbers in Northern Ireland have dropped to 48% and Catholic numbers have risen to 45%. The gap is predicted to narrow. Anyone who winces at such sectarian headcounts might take comfort in the fact that the political message contained in the figures is that the future will inevitably be a shared one. The census figures contain hard numbers that weigh down on the ambitions of both unionists and republicans. As the Protestant and Catholic populations even-out in the years ahead, and particularly if the prospect of a Catholic majority emerges, new constitutional questions will come to the fore. Peter Robinson has acknowledged the impact of demographic trends in speeches over the last year, and while his comments received relatively little media coverage, he warned unionists that population shifts meant they had to build innovative new alliances to copper-fasten the Union. And in an interview with The Detail in early 2013 Gerry Adams asked the question “what is Irish unity?”, signalling that some fresh thinking is required by republicans. The reality is that unionist leaders know that Northern Ireland will continue to change, but republicans also know that their ambitions must recognise the permanent existence of a huge Unionist bloc. The Haass talks made progress on parades and the legacy of the Troubles, but got nowhere on flags. The flags deadlock is a sharp reminder that when you strip everything else away, this is still at its core a fight over identity. The battle between British and Irish identities here goes on, and on, and on. But the census shows how it might ultimately be resolved. It has been argued that at some point in the future, joint-sovereignty between London and Dublin might eventually solve the Northern Ireland question. The Stormont power-sharing Assembly would remain in place, but there would be an over-arching partnership between London and Dublin who would share ultimate authority. The result: both flags are equal, both cultures are equal, the Northern Ireland state remains, but sole ‘British rule’ ends and is replaced by ‘British/Irish rule’. Everyone would get what they want, but just not quite how they imagined it. But while the idea of joint-sovereignty has been floated in the past, it rarely features in political debates today, which continue to pivot on ideas of Northern Ireland being either wholly British, or becoming wholly Irish. Joint-sovereignty is an obvious extension of the parity of esteem message of the Good Friday/Belfast Agreement, and chimes with the future direction of demographics. And it is a whole lot simpler than options that have previously been considered. Secret government documents released recently under the 30 year rule show that in the early 1980s London briefly considered complex blueprints for a chaotic re-partitioning of Northern Ireland, to reduce the Catholic population. Modern Northern Ireland faces the twin difficulties of pressure from extreme elements that are unhappy at the political direction, as well as apathy from those at the other end of the spectrum who are bored with the repetitive quarrels and have switched-off. But with the current British and Irish governments so utterly disengaged, it is difficult for new ideas to enter the debate. We probably have to endure many more sets of ‘crunch political talks’ before one solution or another reconciles the ‘identity’ issue once and for all. Some of the politicians seem to enjoy the supposed drama of negotiations, but more and more members of the public seem utterly bored by it all. They see it as a sham fight. The Haass talks collapsed during the season of goodwill. But the original Christmas story reminds us how birth-rates can have a bigger impact on events than politicians.